Product prices and availability are accurate as of 2019-04-21 18:36:28 EDT and are subject to change. Any price and availability information displayed on http://www.amazon.co.uk/ at the time of purchase will apply to the purchase of this product. 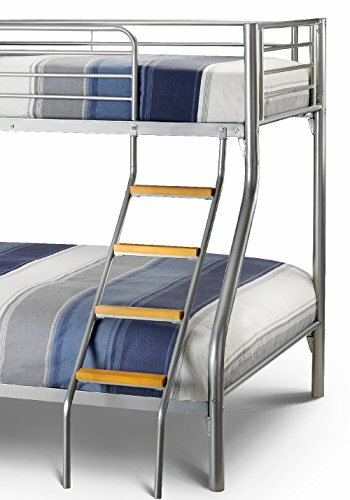 Atlas Triple Sleeper Metal Bunk Bed offers a contemporary look with Bright Aluminium finish which is complemented by wooden ladder rungs and end caps on the top bunk bed posts. 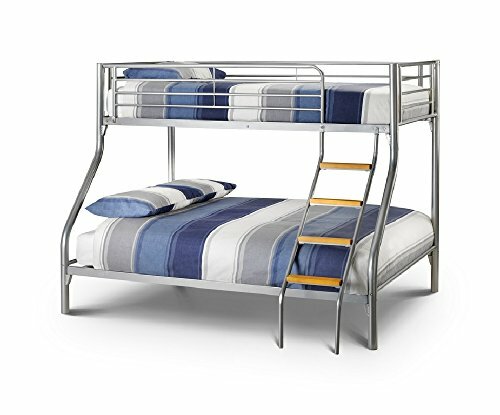 The Atlas Triple Sleeper frame is constructed from a lightweight robust tubular alloy. The Atlas Triple sleeper frame has a solid construction build; safety rails fixed with a strong ladder provide additional safety for top tier. This Triple Sleeper can easily split into two beds: a 3ft Single Bed and a 4.6ft Double bed. 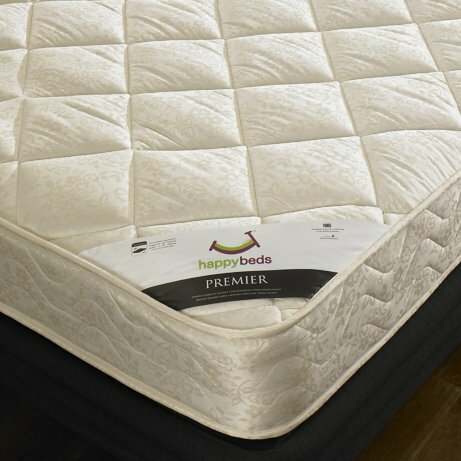 The top tier allows a standard 3ft single mattress with the bottom tier allowing a 4.6ft double mattress. Both mattresses are supported by strong wooden slats. Atlas Triple Sleeper bunk bed is a perfect space saving solution for small bedrooms and ideal for both adults and children. 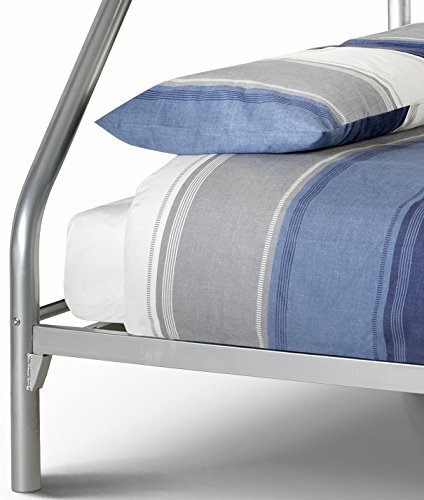 The bed frame comes flat packed for ease of delivery and storage. Note: It is advised, the top bunks are not suitable for children under 6 years old. Lower bunks are not suitable for children under 3 years old. All our bunks comply with the requirements of UK bunk beds (Entrapment Hazards) (Safety Regulations 1987) and the European Standards (EN747-1). This listing comes with the following mattress. Fire Retardant and handmade in the UK conforming to the British standards.